We recommend 7 places considered wonders, which you cannot miss on your trip to the Marche region. Mountain, sea, hill and city, many pleasant discoveries for all tastes. 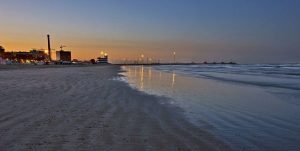 Its characteristic is that of being a park immersed in the green of the Mediterranean scrub overlooking the sea and the charming Gabicce Mare, a well-known seaside resort. The colours, the atmosphere and the evening sunsets are particularly striking by those extraordinary heights. 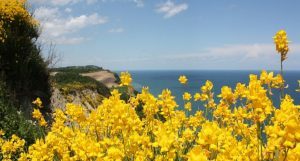 There are also many paths that allow you to reach fantastic views or pristine niches, immersed in the deep blue sea and the smelling waterfalls of flowering brooms. Urbino is an art city of the Marche nicknamed “the Renaissance” because it was one of the most important centres of the Italian Renaissance. It is in fact pleasant to visit the town with particular attention to what remains of that Renaissance era of which Urbino was witnessed, among its ancient palaces, churches, monuments and squares. Palazzo Ducale, home to the National Gallery of the Marche, is of great value, in which works of extreme importance are exhibited, such as the very famous “Città Ideale”. Another precious place of interest is the Casa di Raffaello, to enter into the heart of the history of the great Italian artist. Senigallia, important destination for seaside tourism, offers a coastline of fine and soft sand, ideal for a beach holiday with children. This characteristic Velvet Beach is a particularity not to be missed during your trip to the Marches, together with the beauty of the suggestive Rotonda sul Mare. The Riviera del Conero is the most enchanting natural scenery in the Marche region. The beauty of Monte Conero blends with the sea and the most characteristic beaches of the Marche region: a picture that has no equal in the world. The green of the Mediterranean scrub, the white pebbles of the free beach, the blue and crystalline water of the sea, the green and fascinating bays, are some of the colours of this mythical scenery of the Marches. In the Caves mystery and wonder are a perfect combination that expresses an enchanting underground nature. 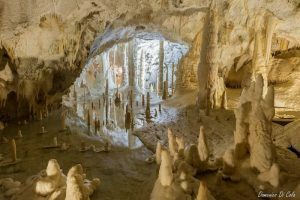 The Frasassi Caves are located on the territory of Genga, in the area of Fabriano. They develop in a path inside a vast area of the mountain, a view of the unusual nature underground, characterized by stalactites and stalagmites of such beauty that leaves you breathless. Ascoli Piceno is the most beautiful art city of the Marche. It has a cultural baggage among the richest of the Marche, all to visit to discover the past history that made it so. The real wonder of the city is made of squares, towers, Romanesque churches, ancient streets, Renaissance and medieval buildings. 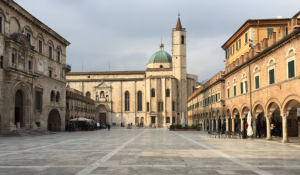 Worthy of note is the extraordinary Piazza del Popolo, famous for its total travertine paving, on which stand Palazzo dei Capitani and the historic Church of San Francesco. Other not to be missed treasures are also the magical Teatro Ventidio Basso, and the Cathedral of Sant’Emidio located in the beautiful Piazza Arringo. So-called because of a legend about the Sibyl fairy who lived there in the distant past, the mountain range of the Sibillini Mountains is a unique and rare jewel of the Marche. Its colours will bewitch you, and its paths will make you live strong emotions, where you will recognize the beauty and the magic of a special territory of the Marche.